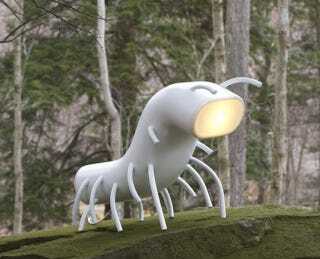 We love all this creepy/cute furniture inspired by animals and bugs. Some of it gets a little macabre, too. The Grizzly Chair by Seth Kinman, a famous chair maker and hunter, who shot more than 800 grizzly bears. He was also a musician who performed for President Lincoln on a fiddle made from the skull of a mule. Watch more of Haillard's unique and bizarre creations here.